Pregnancy complications following an auto accident can be devastating. Injuries can harm both the mother and her unborn baby, so it is critical to seek immediate medical attention after a car crash involving an expectant mother. Besides undue emotional strain, many physical conditions may affect a pregnant woman after the trauma of an accident. Any pregnancy that involves an injury is at high-risk for developing complications. Even a minor fender bender may cause problems to the fetus. For instance, a quick stop that makes a pregnant woman’s body fly forward may cause shock or harm to the baby. The effects of a car accident may place a mother and her baby at an elevated risk for slow growth, pre-term labor, high blood pressure, pre-eclampsia, and other placenta issues. Being carefully monitored by a doctor makes sure problems are detected early, which raises the chances for a normal delivery. Making an appointment with a perinatologist, a doctor who specializes in the care of women with high-risk pregnancies, may be wise. Miscarriage may be the worst result of a car accident. Losing a baby can be emotionally and physically traumatic and can cause strain throughout many aspects of life. Signs that a woman is losing her baby include vaginal bleeding and pelvic cramps. Although some bleeding is normal during the first trimester, when it is accompanied by pain after trauma to the body, it definitely may be the first symptom of a miscarriage. A woman may pass thicker clots as well. Besides pelvic pain, a woman may feel a dull ache in her lower back. Pain after a car accident may not be felt immediately. It may take some time for the injury and miscarriage to surface. A routine pregnancy lasts 40 week. Any baby born before week 37 is labeled premature. Although it is common for preemies to be born without health problems, it is important for the pregnancy to last as close to 40 weeks as possible. Inside a woman’s womb, the baby has the chance to fully develop all its organs and vital systems. Infants born over eight weeks early may have trouble eating, breathing, and maintaining body temperature. When a baby is born earlier than 26 weeks, it may have serious problems. For a prolonged period of time, these infants must be fed through IV tubes. Also, they may suffer problems with their under-developed organs. Most premature babies require costly and extensive medical treatments in neonatal intensive care units. Here, they are monitored for infections and are administered necessary medications. Babies with lung problems may be attached to oxygen or ventilators. Under certain circumstances, premature babies may suffer from long-term disabilities, including mental retardation and cerebral palsey. 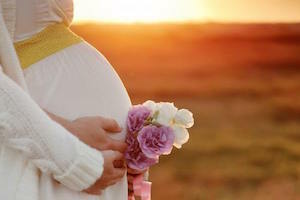 Throughout a regular pregnancy, the placenta connects the mother to her baby and remains firmly attached to the uterine wall. It is the lifeline that transfers nutrients and oxygen to the baby and removes waste. When a car accident occurs, it may cause an abruption, or separation of the placenta. When this happens before birth, it can be fatal. Signs of a placenta abruption include vaginal bleeding and a hard or tender uterus. As this occurs, preterm labor may begin. Even though a woman is not experiencing heavy blood loss, it does not mean the condition should be taken lightly. Oftentimes, large pools of blood may become trapped between the placenta and uterine wall. However, if blood loss is great, a woman may faint, become weak, get dizzy, or begin breathing quickly. After any type of car accident, a pregnant woman should seek medical attention. Losing a child is unbearable and may be prevented under a doctor’s care. A medical professional will perform tests and monitor the baby so that problems are detected early and treated properly.